Understanding Pakistan: Emerging Voices from India is the outcome of a national seminar for research scholars on Pakistan organized by the Centre for Pakistan Studies at the MMAJ Academy of International Studies, Jamia Millia Islamia, New Delhi. The aim of the seminar was to explore how young minds in India view Pakistan, the quintessential ‘enemy’ country or the ‘other’ of India. The range of topics included issues related to Pakistan’s politics, economy, popular culture, education, environment, sectarian divide, minorities, policy towards Jammu & Kashmir and foreign relations. The established academic discourse on Pakistan in India is largely dominated by concerns linked to security threats emanating from within Pakistan. Due to this overemphasis on security-related issues, Indian scholarship on Pakistan is considered to be highly subjective and partisan. 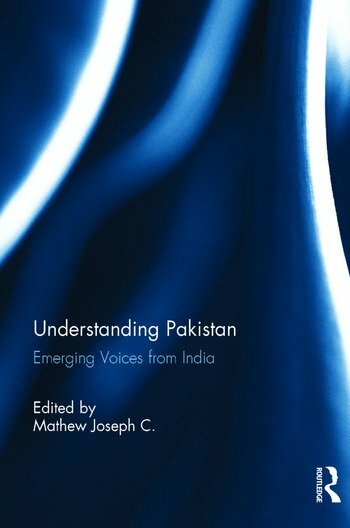 However, in this volume, most of the young scholars distance themselves from the main thrust of Indian scholarship on Pakistan and provide a fresh perspective on Pakistan which can potentially rupture the established tradition of Indian scholarship on Pakistan. Hopefully, it will be these scholars who in the near future will be at the forefront of emerging scholarship on Pakistan in India. Mathew Joseph C. is Reader at the MMAJ Academy of International Studies, Jamia Millia Islamia, New Delhi, India. Before joining Jamia Millia Islamia he was with the Department of Strategic and Regional Studies (DSRS), University of Jammu, Jammu and Kashmir, India. Currently he specializes in studies related to Pakistan, South Asia and International Relations. His major publications include Ethnic Conflict in Bhutan (1999) and Pakistan in a Changing Strategic Context (2004), which he co-edited with Ajay Darshan Behera.